Tuff Stuff starters are hand made from premium quality new components - not remanufactured - and are quality built in USA. Most Gear Reduction style starters, which are considerably smaller than the OE starters, incorporate a mounting block that can be indexed to gain additional clearance. Starters include mounting bolts and shims where applicable. 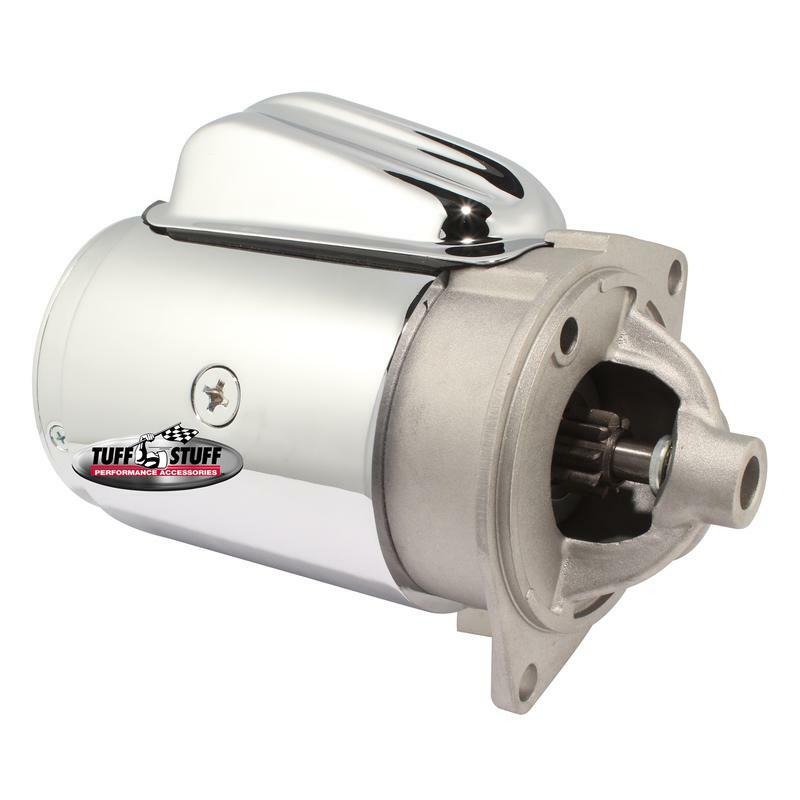 Ideal for high horsepower muscle cars, hot rods, trucks and daily-drivers. Finishes include chrome plated, zinc plated and powder coated.